Instagram is a visual gold mine. Naturally, you’ll want to save inspiring content. Whether as an inspiration for your next post or for a digital mood board. Instagram collections make this possible. Think of it as a Pinterest board. 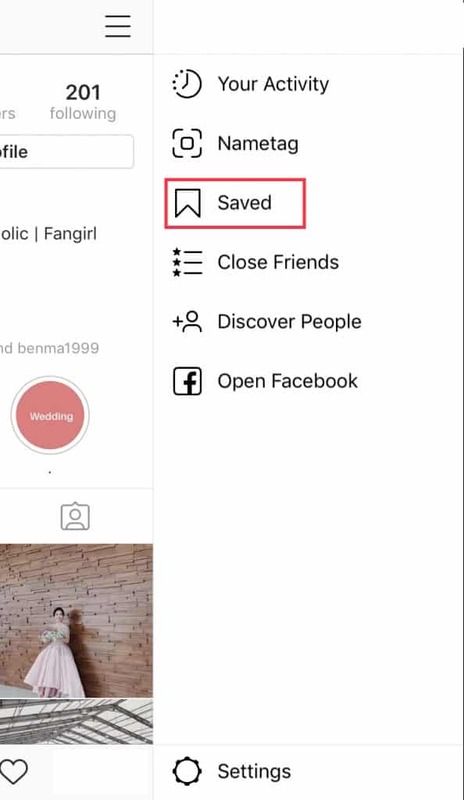 It’s where you can keep your saved Instagram photos or videos for later viewing. This feature isn’t as popular as Instagram Stories. Despite this, it still comes in handy. For instance, you can use it for collecting user-generated content. Or use it as a private mood board. Ready to find out what Instagram collections are and how to use it for your growing brand? December of 2016, Instagram introduced the “bookmark” feature that allowed users to save content. Since its release, nearly 46% of users have saved at least one post. 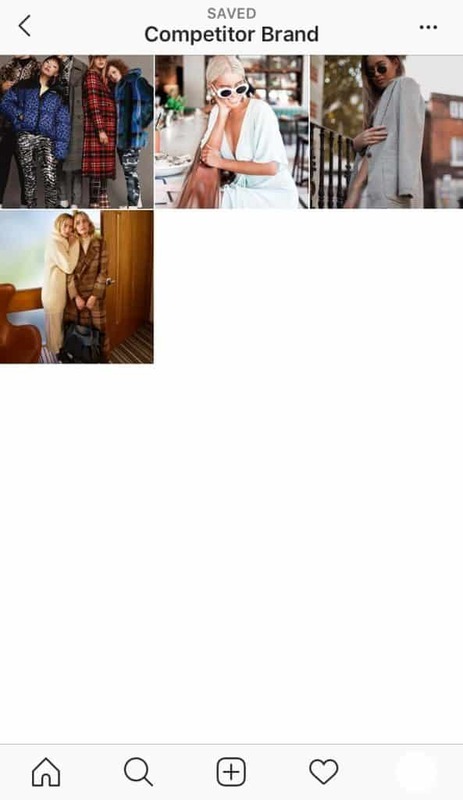 In April of 2017, the platform introduced Instagram collections. This feature lets users sort their “saved content” into different categories. When you “save” a new photo or video, you can add it into a new or existing collection. Just like Pinterest, you can have different, organized collections. The only difference is: Instagram collections are private – only you can see them. Your followers won’t see the bookmark icon in your profile. You can confidently save photos knowing it’ll be kept private. Unfortunately, Instagram collections can’t be publicly shared. Your carefully curated collections are only visible to you. But who knows? Maybe in a couple of months, Instagram will add the option to make your collections public. Until then, your saved photos remain a secret! Want to know how many users saved your content? Instagram now includes the number of “saves” in Insights metrics. Along with likes, comments, and views, “saves” are also an essential factor when calculating the engagement rate. 1. Tap the Insights icon at the top right corner. 3. From here, tap the hyperlinked “All” at the top. 4. Adjust the filter to your preference. Once you’ve found a content you want to save, simply tap the bookmark icon. 1. 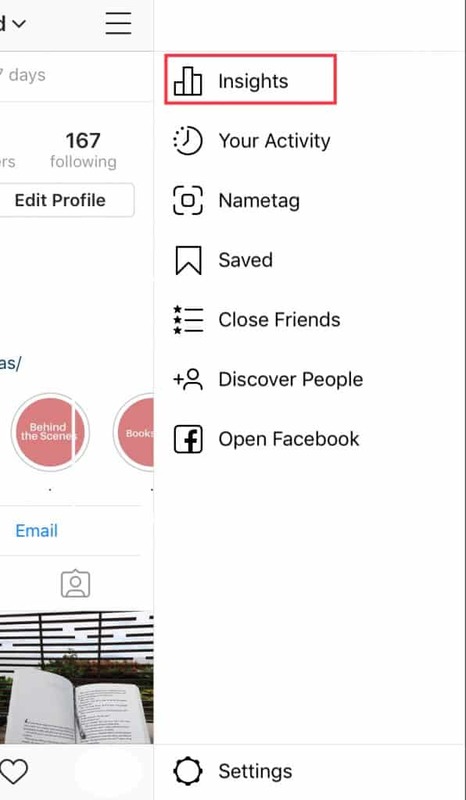 Go to your profile and tap the three horizontal lines. 2. Tap the bookmark icon – labeled Saved. These saved posts are stored in a private section of your profile. You can find uncategorized photos in the All Post album. 1. Go to your saved posts. 2. Simply tap the “+” button in the top right corner. You will be asked to name the new collection. 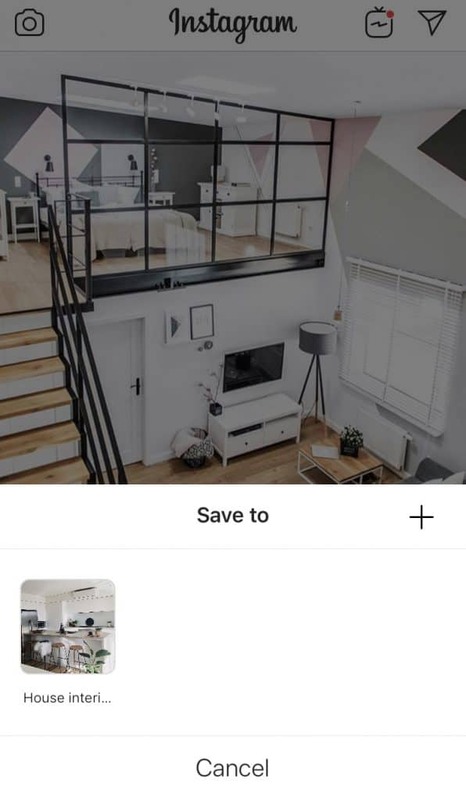 When you tap “Next”, you can choose which saved photos to add to the collection. 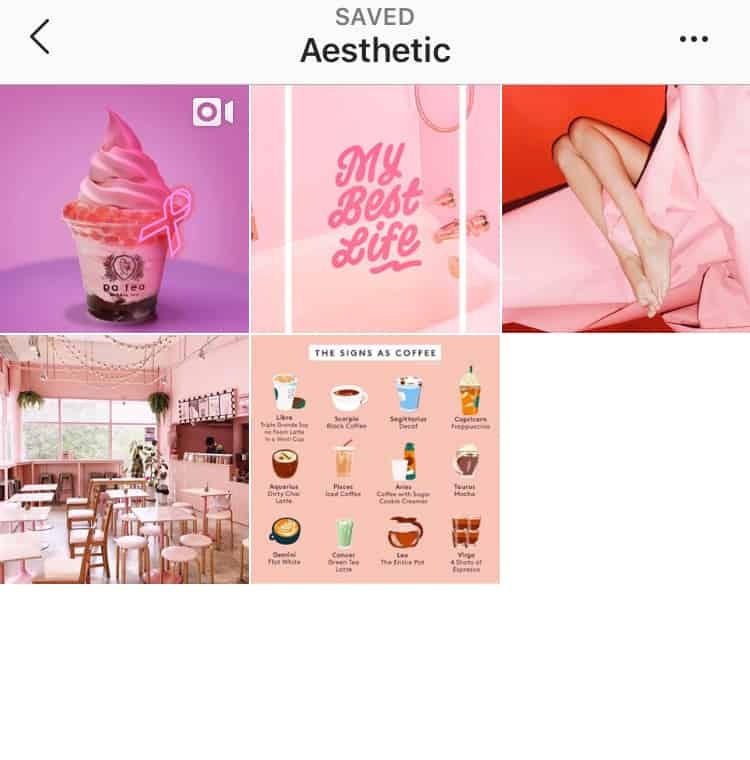 Did you know that you can create a new Instagram collection as you save posts? To do so, tap and hold the bookmark icon. You can then choose to save it to an existing collection or create a new one. If you chose the latter, tap the “+” button. Write your preferred collection name, then press Done. Tip: Create standard category collections. For instance, create collections for user-generated content and competition. How To Use Instagram Collections For Your Growing Brand? Loved an ad? Want to use a flat lay post for inspiration? One of the most basic uses of Instagram collections is for inspiration. This is where you organize photos or videos that’ll get you motivated. Or you can collect content you want to check out when you’re feeling down- like cat videos! Use Instagram collections as a “board”- just like in Pinterest! Save cool and fun things for later viewing. If you’re a start-up brand, Instagram collection feature will surely come in handy. Especially when figuring out your brand’s aesthetic. Consider it as a digital mood board. Save images that best represent the aesthetic you want to achieve. Think of it like decorating a room. Imagine what you want the room to look like. Tip: Each content is connected to a user. 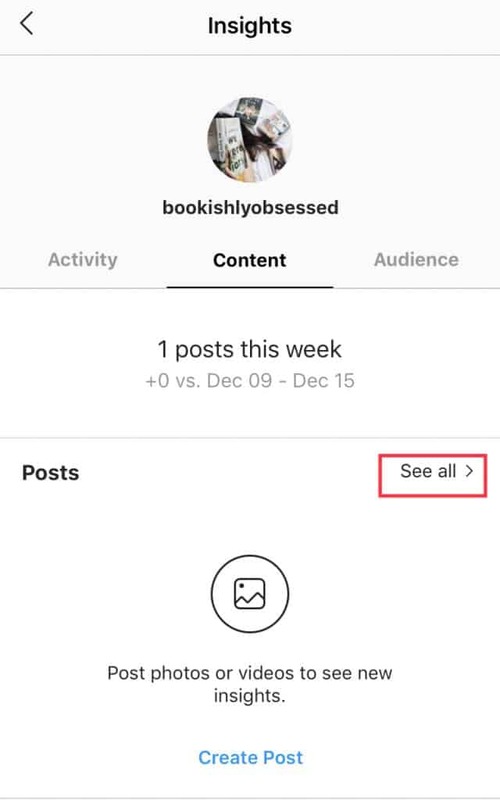 You can easily check out the account and look at how they are curating their feed. Use Instagram collections to identify and organize what you want. Each collection can include anything your brand is into. For instance, do you like a certain color theme? Then dedicate a collection for it. Tip: Keep brand aesthetics in one place. Preferably separate from other collections. Using user-generated content to curate your feed is key to a unique feed. 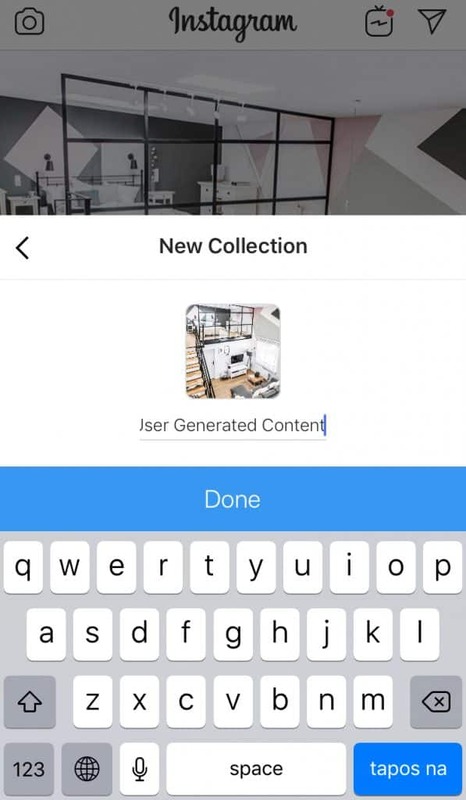 Instagram collections make sourcing and organizing way easier! But what is User Generated Content (UGC)? It’s a photo, video, or any content that is created and posted by users. They are unsponsored and unpaid. It’s created by the user to promote a brand in his or her own volition. Take for example Coca Cola‘s “Share a Coke” campaign. The company introduced their personalized coke bottles. The audience went crazy! 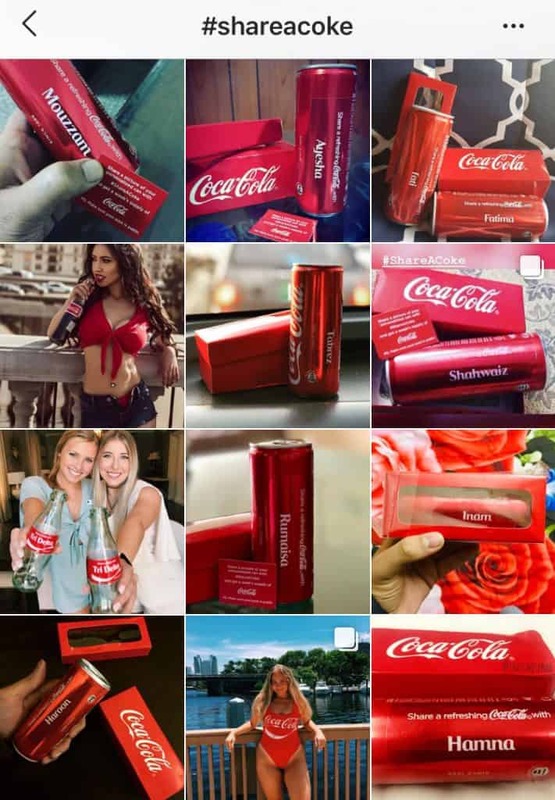 The customers started sharing photos of themselves with their personalized coke bottle. This led to a highly successful marketing campaign. Tip: Consider creating a brand hashtag. This way, you can easily search and save content. 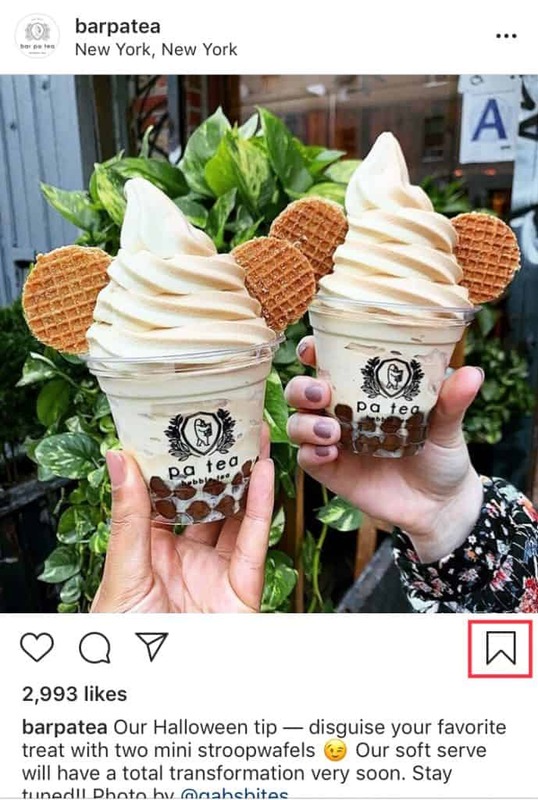 Creating Instagram collections dedicated to user-generated content will help you in planning your feed. Take a look at how Airbnb use this strategy. This is one of the photos they reposted. In the original post, the owner used #airbnb. Tip: Create different user-generated content collections. 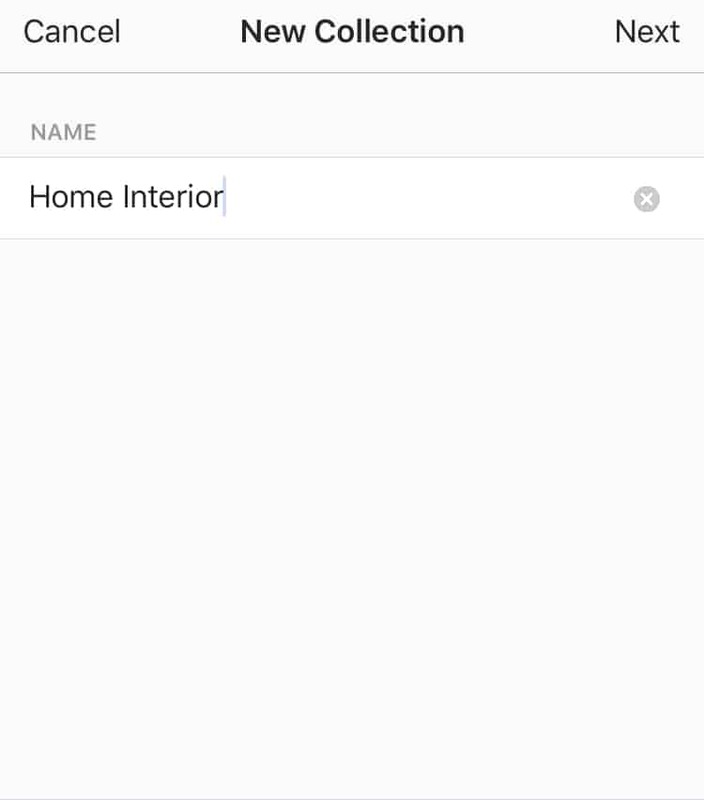 For instance, create collections for specific products, services, or themes. This way, it’ll be easier for you to decide which content to report later. 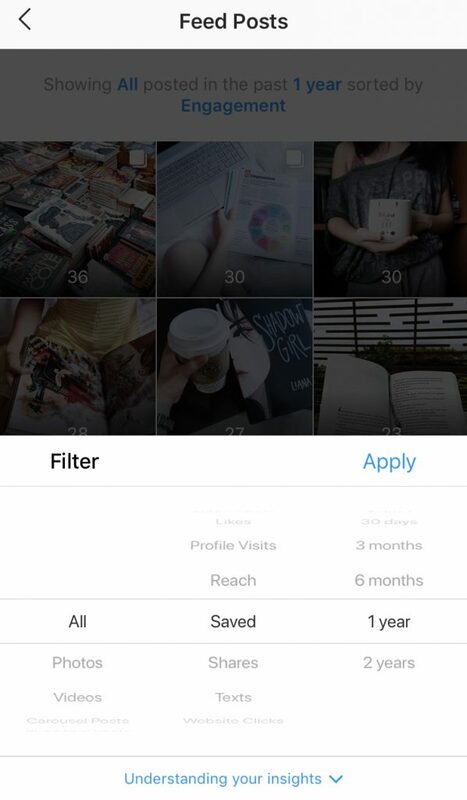 According to Instagram, collections help you keep tabs on the posts you want to remember. So use it to track brand mentions. With all your social marketing tasks, it’ll be to respond to every product mention. Although the app sends a notification, it’ll be hard to keep up. Make sure to properly keep track of your mentions by saving them. Create an Instagram collection specifically for brand mentions. In doing so, you can go back to the posts. You can then thank users, answer their queries, or engage with them at a later time. Have you found yourself scrolling through your competitor’s account? Don’t worry! It’s only natural to want to know what they are up to. Use saved content as a reference when coming up with a new Instagram marketing strategy. Additionally, use it to study your competition. See what marketing strategies they are using. 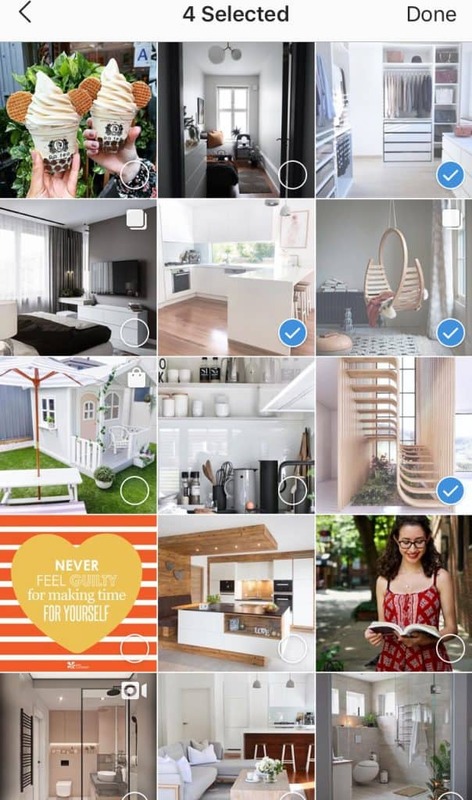 Tip: Research competitors without spending a lot of your marketing budget with Instagram collections. Instagram collections are private. Your competitors don’t have any idea that you’ve been saving their popular posts. So it’s a great way to gather intel. Collect images or videos from influencers you’d love to work with. Keep track of their posts. Once you’ve done your research, you’ll be able to reach out to them. Offer them a good deal. 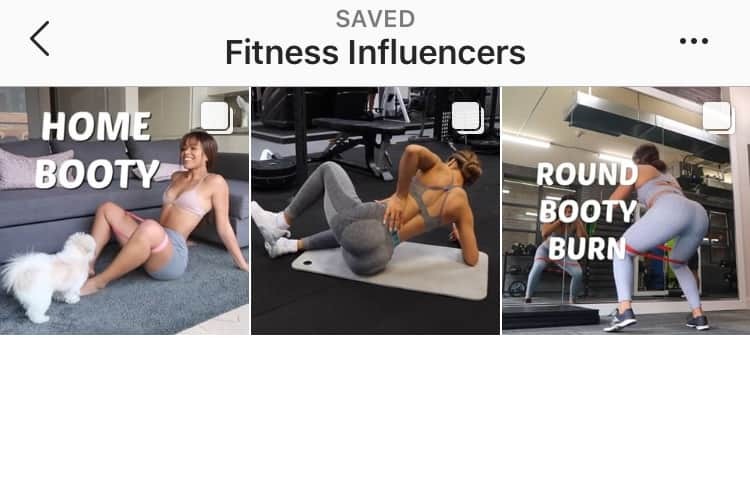 For example, you’re a start-up fitness and wellness brand. You’ve had your eye on a particular influencer and decided to reach out to them. Ask them if you could send some of your products. See if you can collaborate. Why reach out to an influencer? If the influencer tags you in a post on Instagram, you can then save it to a collection. Repost it at some other time. 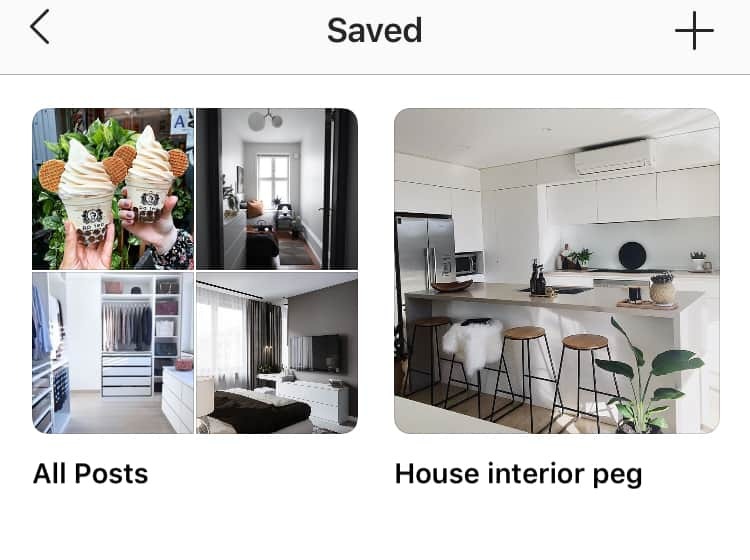 Instagram made it easy for users to save and organize content. These features help you in growing your brand – from competitive analysis to monitoring brand mentions. The tips we’ve mentioned are just a few that will inspire you to use Instagram collections. The possibilities are endless! Want to power up your Instagram account but don’t have time for these tips? Sign up for a 3-day free trial at Upleap!